Are you worried they might not catch up, will be bullied in school and might not make friends? If you answered “Yes” to any of these questions, then this presentation is for you. 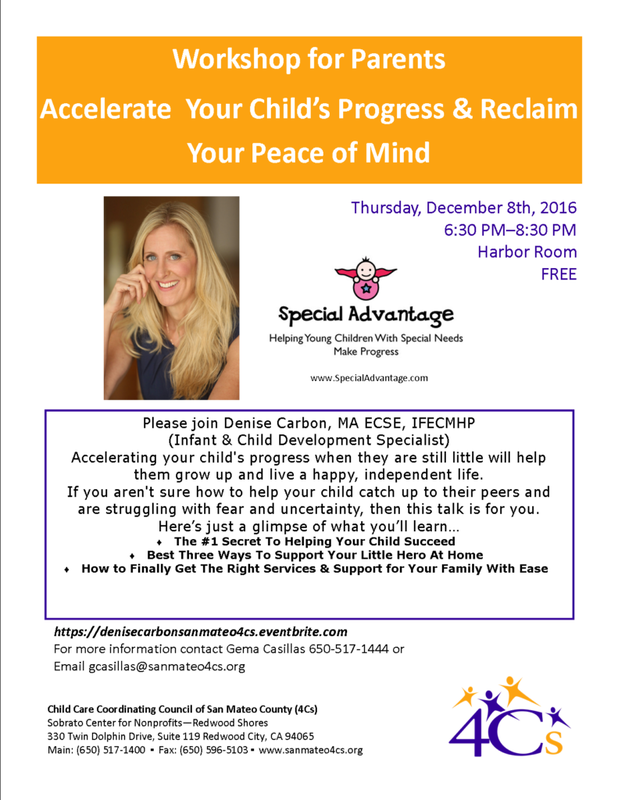 Please join me on Thursday, December 8th at 6:30 p.m. at 4Cs (Child Care Coordinating Council) in San Mateo for this free talk. I promise to make it worth your time! This entry was posted	on Friday, December 2nd, 2016 at 1:31 pm	and is filed under Blog, Events. You can follow any responses to this entry through the RSS 2.0 feed. Responses are currently closed, but you can trackback from your own site.